Are you ready to quit smoking? In the third part of our series, we break down how to quit, and handle your cravings and withdrawal symptoms. The first step is always the hardest, so we've outlined exactly how to actually do it. Editor's note: Information and data included in this blog is pulled from the Center for Disease Control and Prevention. In addition to having support from your family, creating a general support system plays an important role in quitting. Ask for help: If you’re having a hard time, reach out to a friend, family member, or even a mentor to help you out. It can go a long way. Be specific: When asking for help, let your support group know what you do and don’t want. Do your best to be nice about it -- your friends and family just want to help in the best way they can. Avoid stressful situations: Feeling stressed can make you want to smoke. If you can, avoid those stressful situations. And if you can’t, reach out to a friend to help you feel better, or plan a smoke-free activity with them. Say thank you: Letting your friends and family know you appreciate them can go a long way, whatever way you choose to show your appreciation. So be sure to reach out to the folks who help you in your goal to quit smoking. Don’t forget to support others: Like many things, support is a two-way street. Make sure you check in with your friends and family who are doing the same for you. Plus, helping others is a feel good action. The first day of quitting smoking can sometimes be the hardest. Breaking a routine, like smoking, is often easier said than done -- and can be painfully true on day one. To get through your first day, here are some tips to keep you strong and focused. Stick to your plan: If you’ve decided to outline a plan of attack for quitting smoking, stick to it. The structure of a plan will keep you rooted, and can guide you through the process. If you don't have one, you can get started here. Chew gum or hard candy. Keep your hands busy with a pen or toothpick, or play a game in the QuitGuide app. Spend time with non-smoking friends and family. Go to dinner at your favorite smoke-free restaurant. 3. Steer clear of your triggers: The last thing you want to do is surround yourself with things that remind you of smoking -- it can trigger your urge to smoke. Be sure to do this before, during, and even after your first day of quitting smoking. Throw away your cigarettes, lighters, and ash trays if you haven’t already. Avoid caffeine, which can make you feel jittery. Try drinking water instead, or tea. Go to places where smoking is prohibited. Get plenty of rest and eat healthy. Being tired can trigger you to smoke. Change your routine if need be to avoid the things you might associate with smoking. 4. Be positive: Your mental commitment to quitting smoking is very important. So staying positive throughout the quitting process is key. Remember that big change do not happen overnight, it happens one step at a time. 5. Ask for help: Your willpower is key in quitting, but so is the support of your friends and family. As mentioned before, let them know how they can support you. Withdrawal can be uncomfortable and some people may feel high levels of symptoms. But there is no health danger from nicotine withdrawal. 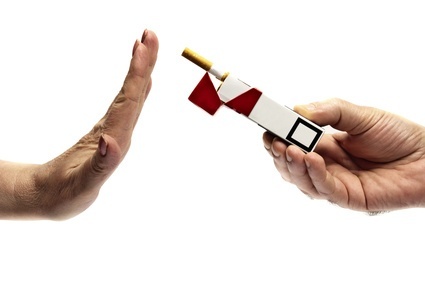 Quitting smoking is the best thing you can do for your health. Even extreme withdrawal symptoms will fade over time. Some people feel increased sadness after they quit smoking. If you become depressed or are having extreme sadness, let a friend or family member know, and think about talking to your doctor. One of the biggest challenges when quitting smoking is fighting through the cravings. It’s true, you’ll want to reach for a cigarette at some point along the way (maybe even right away). Dealing with cravings and triggers takes practice and effort -- and it is totally possible to do. It’s important to note that while your withdrawal symptoms may fade, your craving for a cigarette may remain. Cravings typically last between five to ten minutes. Waiting it out is a good plan of action, but here are some other options for getting through those tough moments. Call or text someone. Sharing that you’re going through a craving might help, instead of dealing with it alone. Find a local quitline. Yes, these exist. Talking on a hotline can keep you from giving in to the craving, and you’ll have someone to walk you through it. Call 1-800-QUIT-NOW to connect directly to your state's quitline. Try SmokefreeTXT. Sign up to get 24/7 support sent right to your phone. Chat with a counselor. 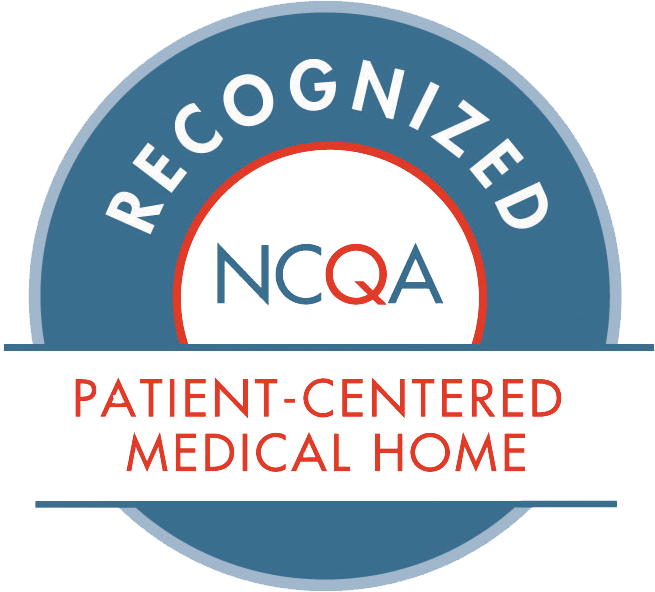 Get real-time help from the National Cancer Institute. Use an app. The QuitGuide app allows you to track cravings and slips by time of day and location, and has many other features to help you become smoke-free. Make a playlist to distract yourself. Cravings last the length of a few songs! Review your reasons. Think about why you want to quit smoking, and the positive impact it will have on your life. Think about what you’ve saved. Smoking cigarettes is an expensive habit. Try to calculate how much money you’ve saved because you aren’t purchasing cigarettes. You can even calculate your savings through websites and apps, like this one. Those extra funds can now be used towards something like dinner, the movies, or whatever smoke-free activity you like to do. You can finally buy that new iPad you’ve been saving up for! Keep your mouth busy. Chew a stick of gum instead of picking up a cigarette.Keep hard candy with you. Drink more water. Do something else. When a craving hits, stop what you're doing immediately and switch to doing something different. Simply changing your routine might help you shake off a craving. Go for a walk or jog. Or go up and down the stairs a few times. Physical activity, even in short bursts, can help boost your energy and beat a craving. Take slow, deep breaths. Breathe through your craving. Inhale through your nose and exhale through your mouth. Repeat this 10 times or until you're feeling more relaxed. Visit a public place. Most public places don't allow smoking. Go to a movie, a store, or another smoke-free place where you can’t smoke. Try distracting yourself for a few minutes by being helpful to a friend, family member, or co-worker. This takes the focus off yourself and how you are feeling and instead allows you to think of another person’s needs. It can be a helpful way to cope with a craving until it passes. Plus, doing good deeds can have positive effects on your health, like reducing stress. Managing stress can be a key part of quitting smoking. Do whatever it takes to beat the urge to smoke. Keep trying different things until you find what works for you. Just don't smoke. Feel proud of the time you went without smoking. Think about ways you avoided your triggers and beat cravings. Try to use those ways to cope again. It’s important to restart quitting right away -- today or tomorrow at the latest. Don’t give up on your goal of no cigarettes at all. If quitting forever seems too hard right now, try a text message program to help you prepare to quit in the future. These programs help you build skills for dealing with cravings, triggers, and stressful situations. You can try a Practice Quit for a few days or do a week of Daily Challenges without quitting. Use nicotine replacement therapy (NRT). You don’t need to stop using NRT after you slip and smoke one or two cigarettes. Using NRT increases your chances of staying smoke-free for good. Get support. If you slip, talk to family or friends. Ask them for help to stay smoke-free. You don’t have to do it alone. Think about what you learned when you were not smoking. What helped you to stay smoke-free and what caused you to have a slip? 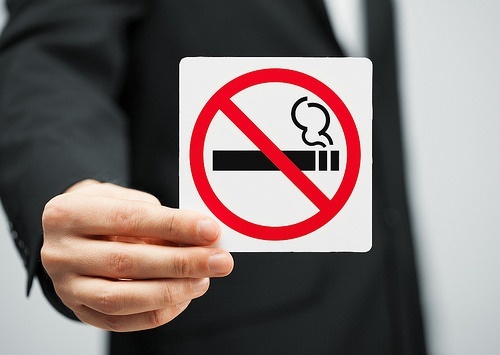 What can you do differently now to help yourself be smoke-free again? At Apicha CHC, we’re here to help. Our PCPs routinely assess for smoking among all patients in the practice. If you are a current smoker, you and your provider will discuss your readiness to quit and current strategies to assist you, which may include medication and smoking cessation counseling. If you are a current smoker, are thinking about quitting, and would like to meet with one of our providers, you can schedule an appointment here.You can schedule an appointment here. If you'd like more resources on how to quit smoking, you can check out the CDC's resource page, or NY Smoke-Free.